Cushion assembly (body mounting pad). 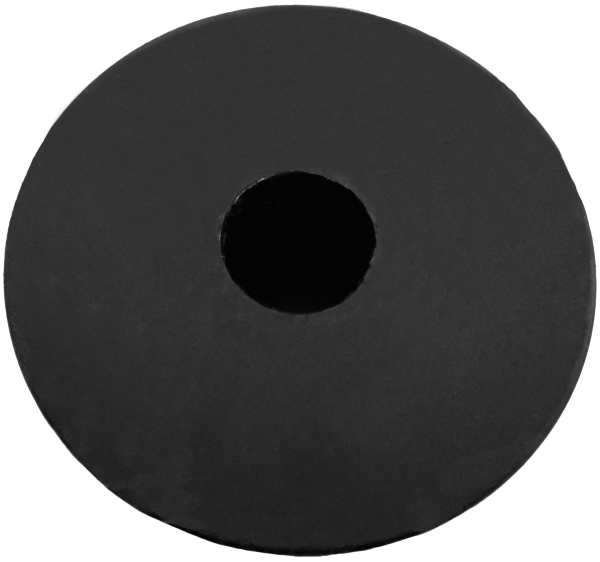 Rubber with metal core, locating collar and metal bolt as original. Metal bolt is removable, measures fifteen sixteenths inch (15/16") long when removed. Part dimensions with metal bolt inserted are: Two and one eighth inch (2 1/8") outside diameter by one half inch (1/2") inside bolt hole diameter by five eighths inch (5/8") metal bolt outside diameter by one and one sixteenths inch (1 1/16') locating collar outside diameter. 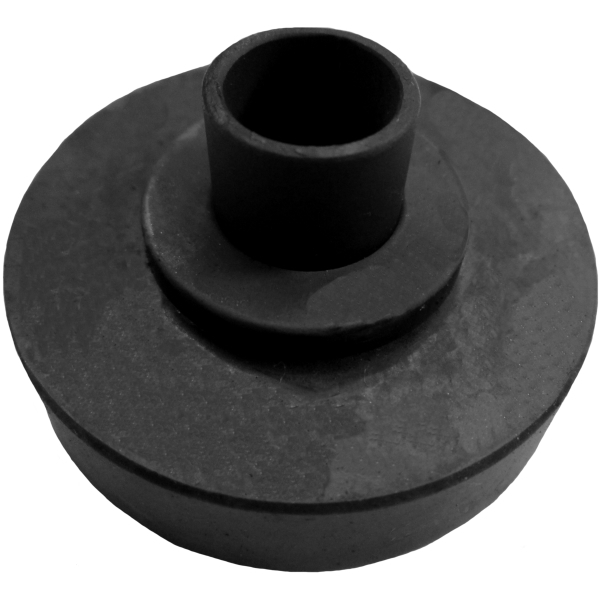 One half inch (1/2") circular base height by one eighth inch (1/8") locating collar height by seven sixteenths inch (7/16") metal bolt height (when inserted in part fully) by one and one sixteenth inch (1 1/16") overall height. Chevrolet useage for bolt location(s) is as follows: 1958-1959- All closed styles, for all body bolts (except #1). Replaces factory #3660889, 3746219, 374628.